Here at Jaguar Colorado Springs we currently have this beautiful Approved Certified PreOwned 2014 Jaguar F-TYPE Convertible available for sale! For just under $55,000, you can own the perfect summertime vehicle! Equipped with a 5.0L V8 engine and paired with an 8-speed automatic transmission with QuickShift, you can expect an estimated 16 MPG city/23 MPG highway! This low mileage convertible is packed full of other great features too including a navigation system, SiriusXM Satellite Radio, remote keyless entry, adaptive suspension, 14-way performance-style seats, low tire pressure warning, rear parking sensors, and much more! Plus, as an Approved Certified Pre-Owned vehicle, you can have peace of mind with great benefits like 24-hour roadside assistance, 165 multi-point inspection, and even up to 7 years/100,000 mile limited warranty! 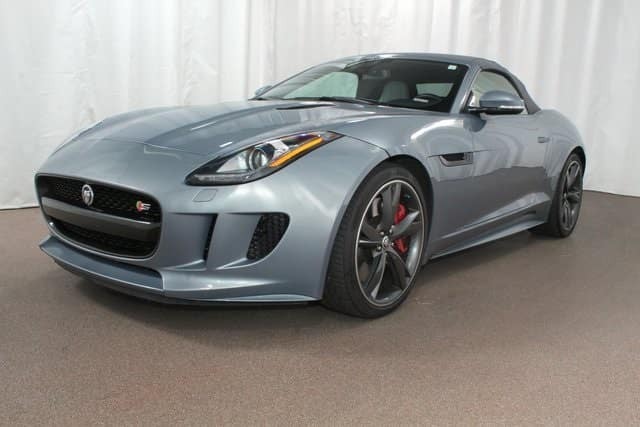 So if you are looking for the perfect summer convertible, stop into Jaguar Colorado Springs today to check out this 2014 Jaguar F-TYPE! Take a test drive and we know you will fall in love with the powerful performance and impressive luxury of this gorgeous convertible.